Below is a short list of the services I offer but please click on the links to the left of this page to get more detailed information. Home Birth Attendance: Providing prenatal, labor and delivery and postpartum care for home births. VBAC and water births available. 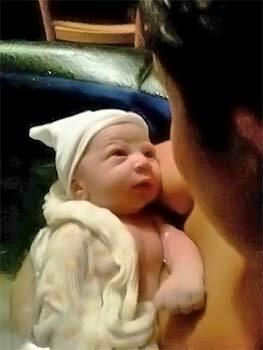 Birth Doula Services: Continuous one-on-one compassionate care during pregnancy, labor, birth and immediate postpartum. Childbirth Education: Group and Private customized classes available. Belly Casting: A wonderful memento of a magical time. Done privately in your home. Mother Blessing/Blessingway: A lovely addition or replacement to the traditional baby shower which focuses peace, blessings, and honor on the mother as she transitions from pregnancy to motherhood, regardless of whether it’s her first, second, third or more transition. Birth Counseling: Short-term, one or two meetings, to review prior birth or birth-related events to develop coping strategies and a birth plan for this pregnancy, labor and birth. For more information, please contact me via email at . You may also call me at 508-728-6588. I look forward to serving you.